NAVAL, Biliran –– National Food Authority (NFA) rice is now available in Biliran market. Biliran province has received a total of 3,229 bags of NFA rice which were distributed to accredited retailers and outlets, Provincial Manager Ma. Rosario Cadiz said. Cadiz said the initial NFA rice received, comparable to commercial rice in quality, reached their office via Tacloban and Ormoc, this is part of the 30,000 bags allocated for NFA-Biliran until 2019. However, the sghe said only the P32/kilo NFA rice is sold in Biliran market at the moment since the P27/kilo rice is allocated for the Tagpuan Rice Response Delivery (TRRD) program for the poorest of the poor in the community. She said two accredited cooperatives, the Biliran Multi-Purpose Cooperative Inc. and the Naval Municipal Employees Association, will sell the TRRD stocks in remote barangays identified by the Social Welfare and Development Office. Meanwhile, Cadiz reminded the rice retailers to renew and revalidate their licenses, install their signboards, rice box, rice tags, and weighing scale with metal plate as mandated by NFA. NFA-Biliran accredited retailers are allocated 10 bags of NFA rice every week in support to NFA’s thrust of continuous supply of quality and cheap rice affordable for the poor families. 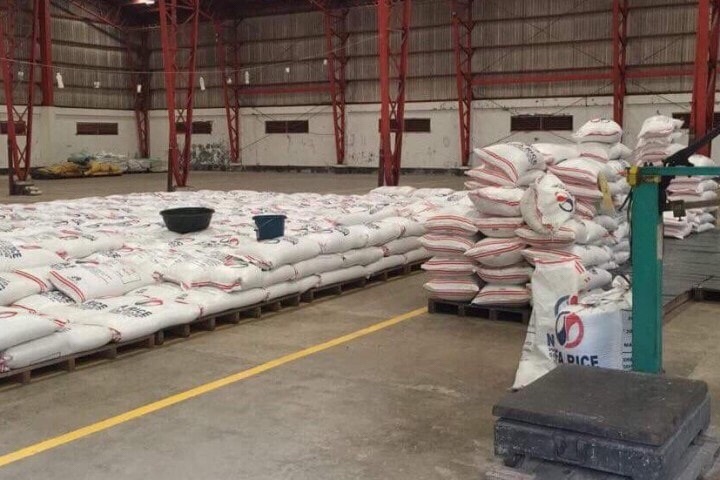 Currently, NFA-Biliran receives 400 bags of rice everyday from NFA-Ormoc except on Sundays, according to Cadiz.